2 New Groups Just Formed Join Now! Held on Wednesdays 4:00 P.M. - 5:30 P.M.
*Twice per Month – Arts & Crafts, Horse Teachings Such as grooming, Tacking, Leading & Handleing, Horse First Aid, Learning Breeds and Colors. Held On Thursdays 10:00 A.M. to 11:30 A.M.
*Two Meetings per Month - Arts & Crafts, Horse Teachings Such as grooming, Tacking, Leading & Handleing, Horse First Aid, Learning Breeds and Colors. Morning Star Farm is located in Sussex County, N.J., in the Township of Fredon, N.J.
An equitation facility for kids and families. 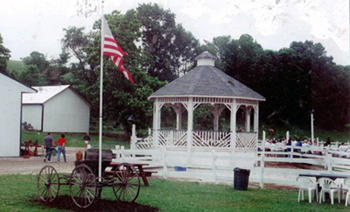 Morning Star Farm specializes in the training of children and adults. 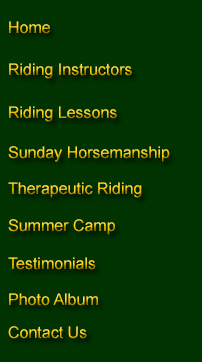 We offer a complete riding program both individual and group. Our training includes not only riding. On Sunday our Horsemanship Program teaches total horse care, horse first aid, breeds, colors, feeding, safety on and off the horse, grooming and tacking. Our “Therapeutic Horseback Riding Program” or “Equine Assist Horseback Riding Program” produce favorable results in Riders of all ages and is most effective in the nature of physical, mental and social development. The partnership formed between the horse or pony and rider is very beneficial. This Program is fun, safe and healthy, with a focus on the rider’s abilities as well as special needs of the rider. Morning Star Farm has many years of experience. The quality of our horses and the experience of our trainers combine to offer a unique horsemanship program for each participant with an in-depth learning experience in every aspect of horse care. Our staff is highly experienced, dedicated, caring, and an important part of our success! Morning Star Farm is the home of many Grand Champion horses and ponies!